Lyft shares plunged as much as 7.3% on Wednesday after reports that rival Uber was seeking a valuation of between $90 billion and $100 billion. 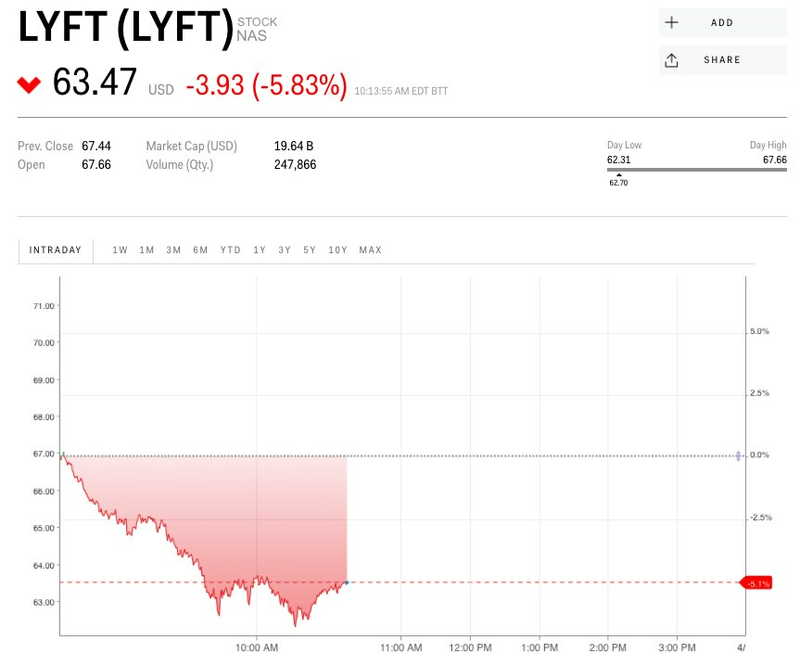 Lyft shares have dropped 27% from where they opened when the company went public last week. Lyft shares dropped as much as 7.3% on Wednesday after it was reported its rival, Uber, was seeking a valuation of between $90 billion and $100 billion when it officially files to go public. Uber plans to sell around $10 billion worth of stock when it officially files to go public on Thursday, Reuters reported on Tuesday, citing people familiar with the matter. Uber’s new projected valuation, according to Reuters, is below that of prior $120 billion estimates. In contrast, Lyft’s market cap on Tuesday was just under $20 billion, having raised about $2.69 billion in its IPO last month. 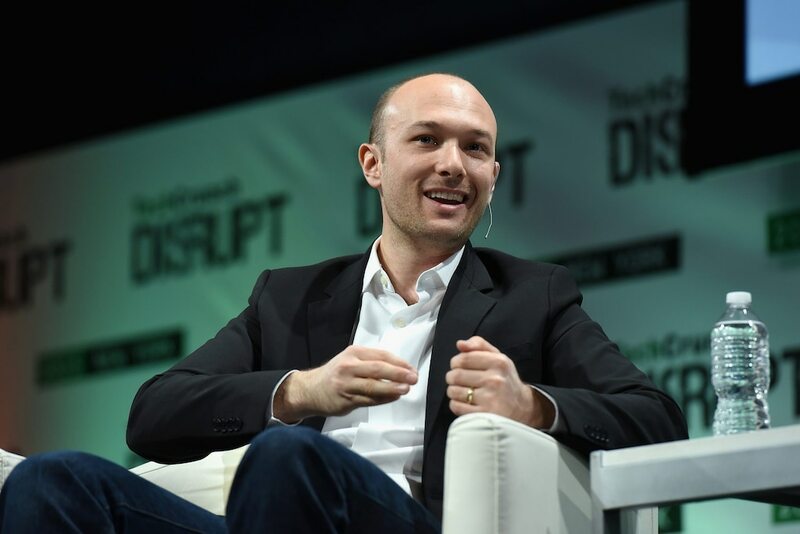 Lyft has traded in a volatile fashion since its debut, which isn’t uncommon for newly minted public companies. The stock priced at $72 a share the evening before its IPO in late March, then officially opened at $87.24 a share, then dropped below its IPO price in its first full day of trading. It’s now down about 27% from its opening price, and down 11% from where the stock initially priced. Lyft analysts are concerned about the company’s uncertain path to profitability and a highly competitive ride-hailing space. Regulatory uncertainties may also pose a challenge, some analysts say, while others say the stock is overvalued. “While we believe the ridesharing market will continue to grow and expect LYFT to be a prime competitor, in our view, current valuations reflect an overly optimistic view of consumer behavior in the US,” said Michael Ward, an analyst at Seaport Global, in a note to clients last week.